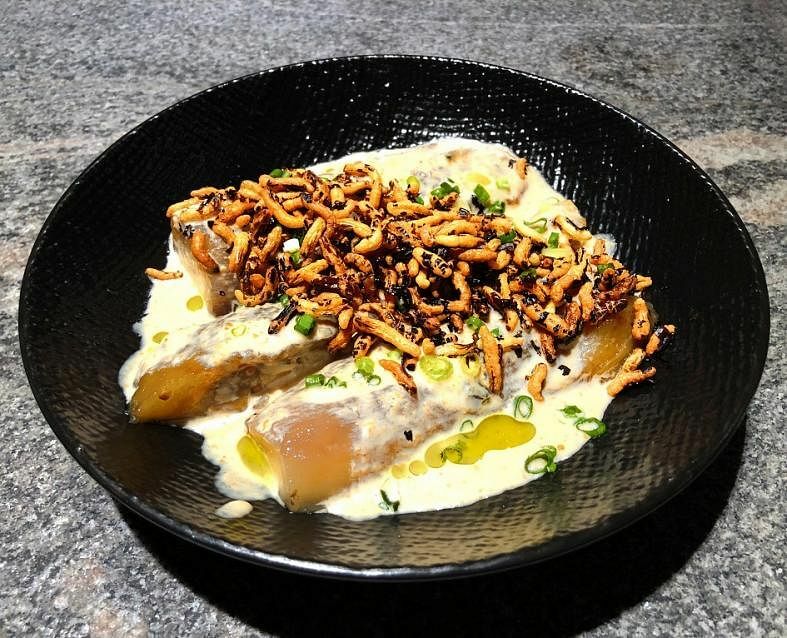 (THE NEW PAPER) - French-Japanese restaurant Le Binchotan has a new owner-chef - its former head chef Jeremmy Chiam - and he has refreshed the menu. The food direction remains though. It is a combination of French cooking techniques with centuries-old Japanese grilling over binchotan (an expensive Japanese charcoal), using Japanese and French ingredients. The 35-seater has been around for about 18 months and is known for its tiny space and its bar. Perhaps now the spotlight is on the food. I have to suppress my giggles when the Edible Charcoal ($23) is served. This new addition to the menu is supposed to look like charcoal but they remind me of something way less appetising. But as with life, when you look past appearances, it gets better. Stuffed inside these black logs are Angus beef short ribs slow-cooked in saikyo miso and port wine. The beef is tender and flavourful, and it is highlighted by the accompanying garlic yogurt. 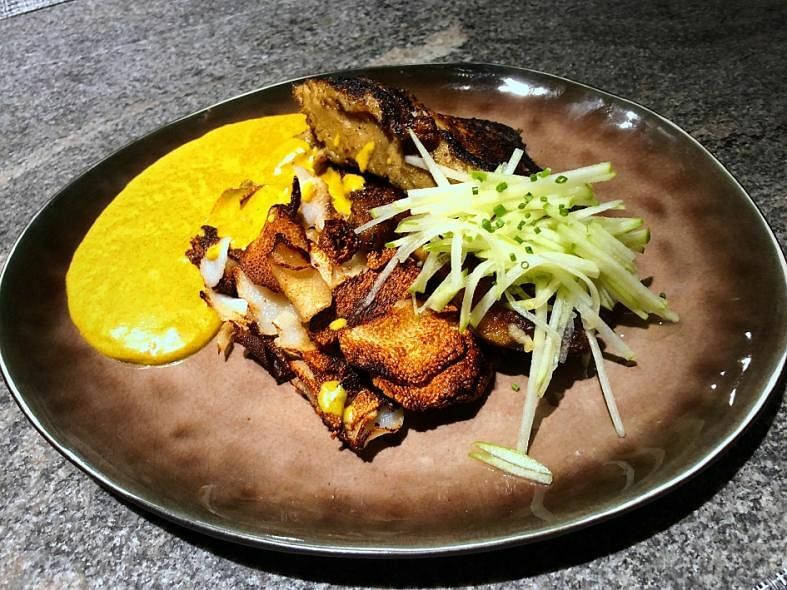 Another excellent dish is the Char-Pork Jowl ($35, above). The crust on the pork is the winning element, while the meat - marinated in dried chilli, thyme, rosemary, clove, star anise and Japanese curry powder - is cooked in duck fat for added flavours. Many dishes at Le Binchotan have bold flavours, so the Little Neck Clams ($20, above) is a delicate reprieve. 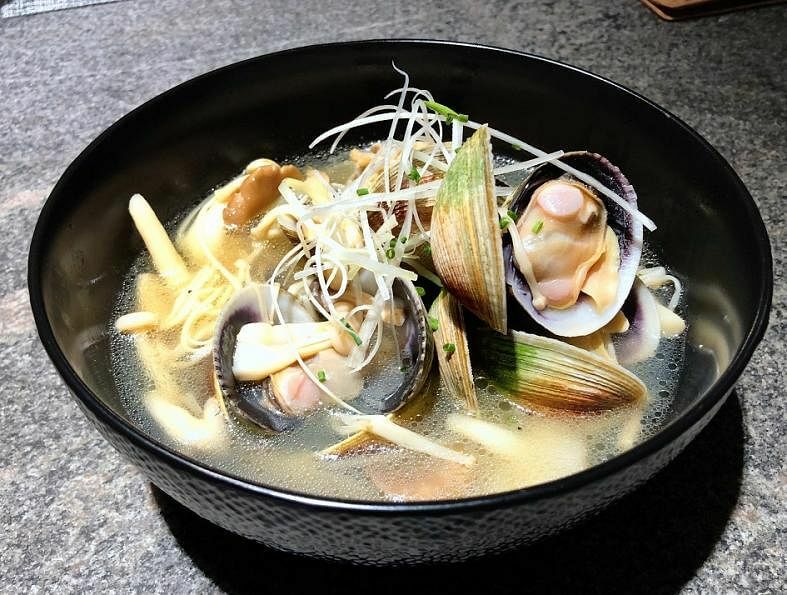 The sake broth adds fragrance and depth, but it is the sweetness of the fresh clams that charms. I am impressed by how smoky the Binchotan Burnt Aubergine ($12, above) is and it lingers inside my mouth. It is the best use of the binchotan. I am also surprised that the dish is served cold, which adds to the pleasure. 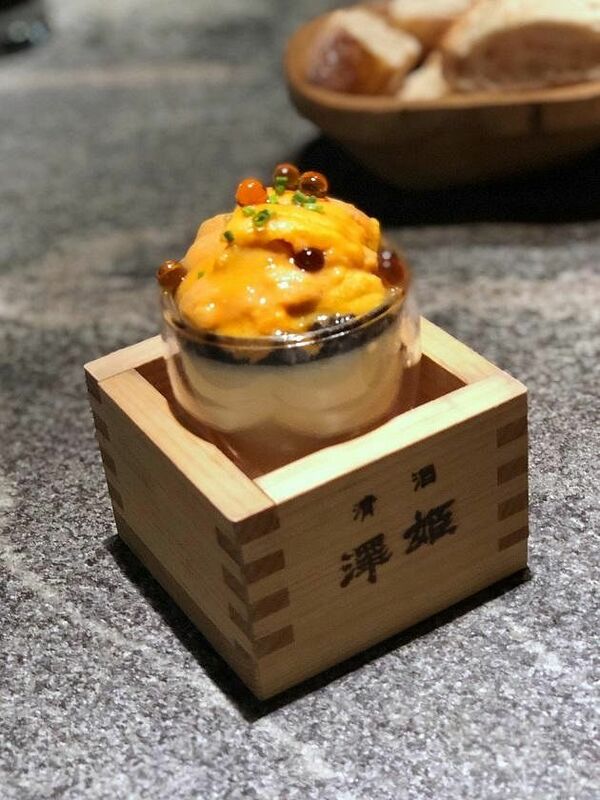 The Uni and Caviar ($25, above) is a sight to behold and such a pleasure to consume. The uni and caviar sit on a delicious corn mousse, and all you need to do is spoon the stuff into your mouth. If you are thinking this is too rich and extravagant, there are shoyu pearls to balance things out. I think everyone that walks in here should order this and give yourself a treat. To quote US entertainer RuPaul: "If you don't love yourself, how (are) you gonna love somebody else?"